Williams' departure leaves the Huskies' extremely thin at outside linebacker. Outside linebacker Amandre Williams has announced his departure from the Washington football program. “At some point, you have to know when to make a change. Thank you for the memories,” Williams wrote on Twitter. A projected starter coming into the season, Williams instead saw limited playing time in the first half of the season. In seven games, he had seven tackles and one pass break-up for the No. 15 Huskies. A Tahoma High School product, Williams played in eight games in 2017 after redshirting in 2016. 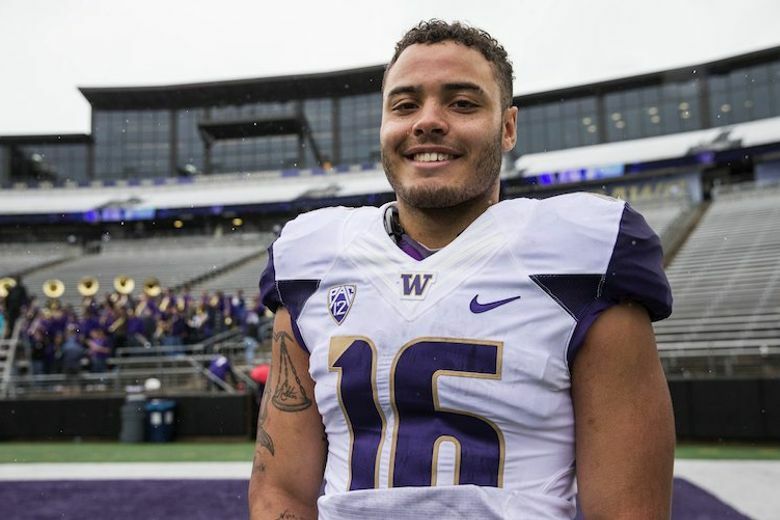 His older brother, DeShon, is a senior walk-on tight end for the Huskies. Williams’ departure leaves the Huskies’ extremely thin at outside linebacker. Senior Tevis Bartlett, a full-time starter on the outside in 2017, has been playing more inside this season because of the injury to junior DJ Beavers. Sophomore Ryan Bowman figures to see more playing time in the second half of the season, as should third-down specialists Ariel Ngata and Joe Tryon, two redshirt freshman.